'The one business that should be put out of business' — but food banks used by 100,000 people a month in B.C. One food bank says she's noticed the demographics of clients at the food bank shifting, with more working families and seniors coming in. For those who work for a food bank, nothing could be better than being put out of business. But that doesn't seem likely any time soon. 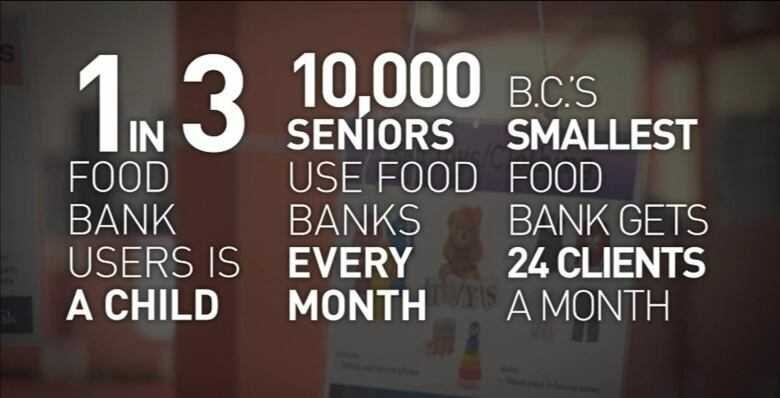 Each month, nearly 100,000 British Columbians are fed through food banks. A third of those are children. "We have become a staple in a lot of people's lives, which is a shame," said Bev Elder, executive director of Saanich Peninsula Lions Food Bank. "We should be the one business that should be put out of business — but I can't see us going anywhere, anytime soon." Elder says she's noticed the demographics of clients at the food bank shifting, with more working families and seniors coming in. "If we weren't here, I don't know what a lot of people would do," Elder said. Janiene Boice, director of development for the Victoria-based Mustard Seed Street Church, says there's been about a 30 per cent increase in people using its food bank since the summer — something she ties to issues of affordability. "The cost of living has gone up, we saw a gas increase, groceries are going up," Boice said. "This increase probably won't change. We just have to provide more services." When it comes to addressing poverty, some argue that food banks shouldn't be the answer. "Of course, at this time, we need the response that the food bank provides," said Viveca Ellis, who is with the B.C. Poverty Reduction Coalition. "But in the bigger scheme of things, we see a charitable response as a somewhat downstream response." She's advocating to increase income levels as a key way to target poverty. "Food security is a very extreme issue throughout all of B.C.," she said. "We can provide meals, we can give them cans of soup, but we need to bring their incomes up." Laura Lansink, executive director Food Banks of B.C., emphasized the need for food banks during an emergency: events like an illness, injury or marital breakup can be the tipping point, she said. "It is a temporary help, we are there for them when they need it," she said. 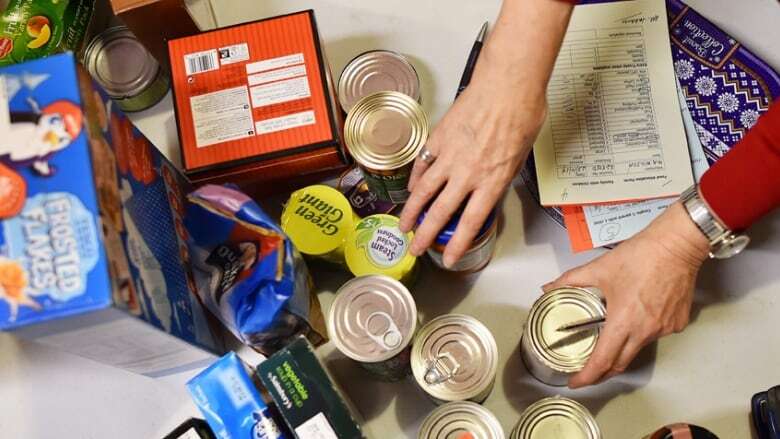 "[Food banks are] life support for a few days." Visit us during CBC's Vancouver's 2018 Open House & Food Bank Day this Friday, Dec. 7.